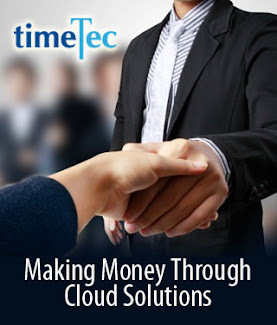 With TimeTec, employers can opt for time allowances according to the company's need. However, regardless of the management style and the attendance policy set forth, companies can’t escape from dealing with attendance anomalies when dealing with various types of employees from different backgrounds. Attendance anomaly refers to any time discrepancy apart from the official attendance policy and the degree of attendance anomaly occurrences could impact a company in terms of operations and finances. By implementing an effective time and attendance system at a company, first and foremost, the management will be able to analyze these anomalies and determine the compliance rate of the employees. The attendance anomalies shouldn’t be more than 15% of the attendance, and if it’s more than 15%, remedial approaches has to be in place. Take, for example, a company with a staff strength of 50. If we take 15% of the anomalies, it equates to 1.2 hours per day x USD4.65 = USD5.58 x 100 = USD558 per day of monetary impact, USD16,740 for a medium 50-person sized company. Attendance software must be able to provide you with details like total of late ins by each employee, total of early outs, total early lunch, total late return from lunch break, early overtime and etc. Having this information will enable a company to calculate the costing and determine the level of seriousness these anomalies have on your company’s operation. 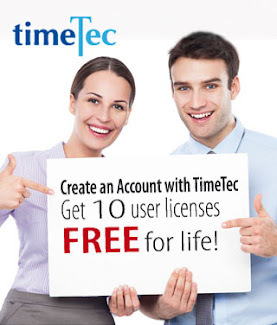 Sample of attendance sheet in TimeTec. From employees’ point of view, they are only taking a slight more time to run errands or to have more break time but for a company, work time always comes down to dollars and cents. Having this information also provides a company with ideas on the remedy one has to take to contain these attendance anomalies from occurring frequently. After analyzing the attendance anomaly situation in your company, perhaps the current policy needs to be adjusted to reduce the occurrences or the implementation needs to be tightened to ensure compliance. By letting the staff know that the management is ‘watching’ their work time consumption, improvement comes naturally after.